The scaffolding manufacturers in UAE offer a wide assortment of scaffolds in both custom fabricated designs and standard designs. Scaffolding is a temporary structure that is used to support the supplies and people working in a construction and any other industrial project. 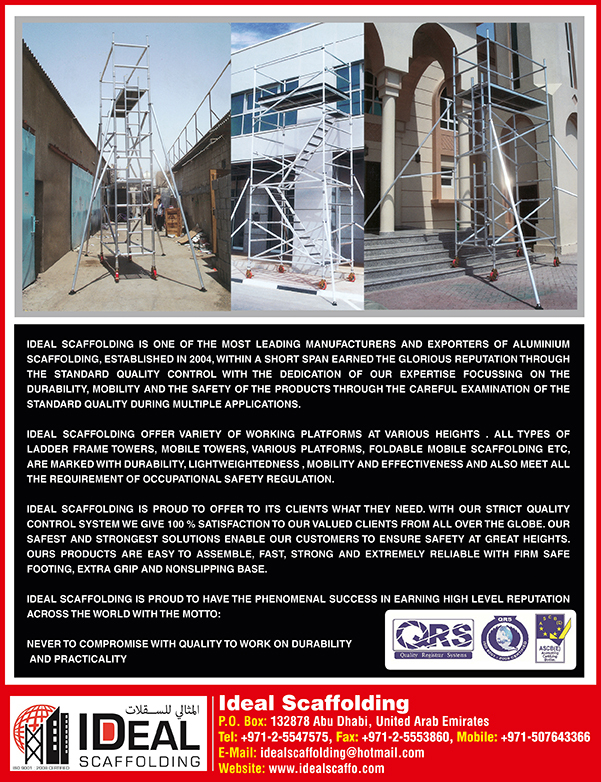 Scaffoldings can be made of materials such as aluminium that are light weight and have easy usability. 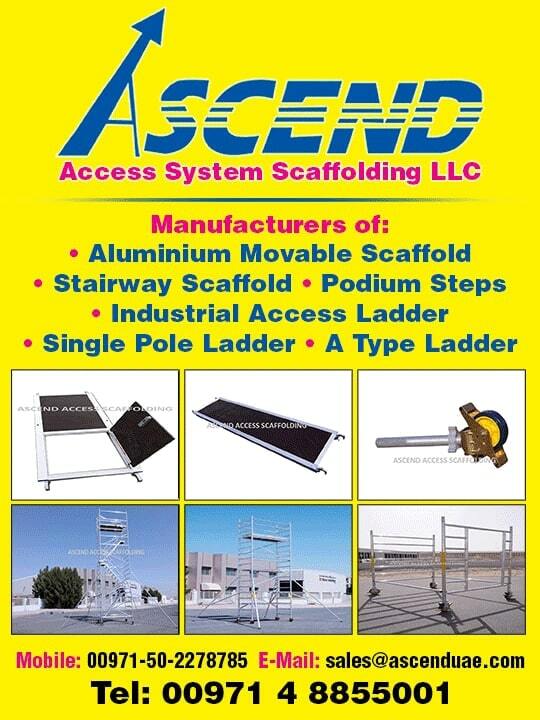 Scaffolding manufacturers cater to the needs of power, industrial, building, petrochemical, shipbuilding, transit, utilities, film and bridge as well as government projects. Top scaffolding manufacturers offer scaffolding wooden boards, galvanized pipes, couplers, Austrian boards, normal white wood and laminated wooden boards that are manufactured as per industry standards.